TRS & KCR supporters UK (TKSUK) was launched in London, England on Sunday and they conducted 'Deeksha Diwas' as remembrance of the TRS diskha diwas day. At the launch, founder Ceeka Chandra Shaker said that seven years ago on November 29, 2009 was a historical day leading to the achievement of Telangana state. 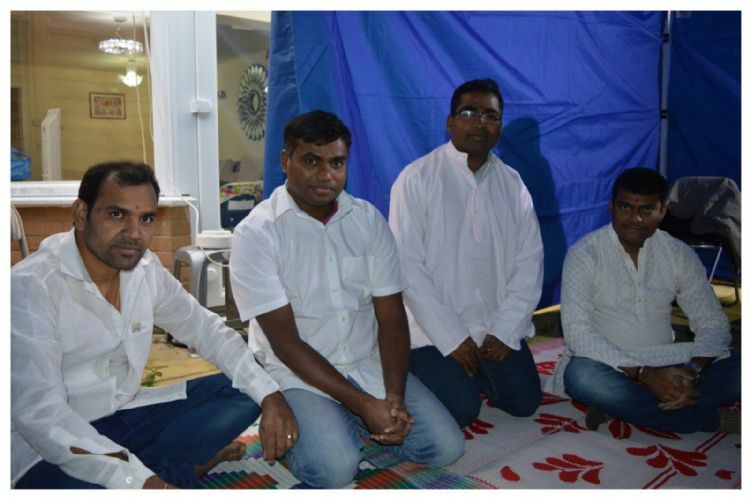 TRS president K. Chandrashekhar Rao was arrested for demanding separate State by performing Diksha. KCR's diksha laid path to serious demand for Telangana gathering momentum with huge public support and protests erupting all over Telangana. Central government reacted in the form of announcement for formation of Telangana by the then union home minister P Chidambaram. This followed series of action by central and state governments which have brought us to this point where state bifurcation process has been initiated and new state Telangana is was formed. TKS Team performed one day diksha as solidarity and remembering this day. Team distributed sweets and fruits in local community. 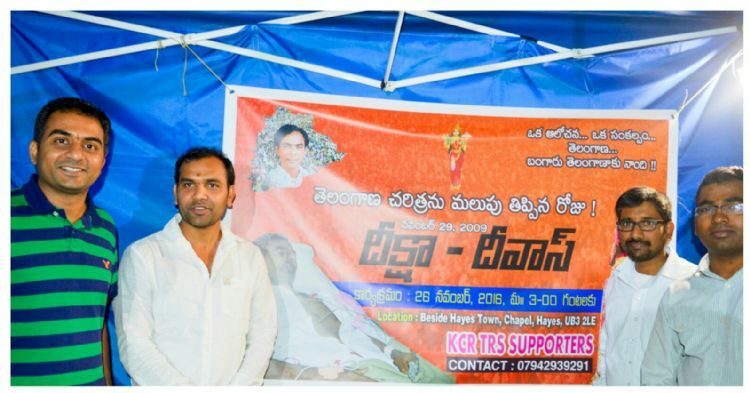 Another founder-member, London based business man and philanthropist Goli thirupathi said on this occasion, that he is very happy to see new organisation TKSUK on this special day which is very close to the hearts of many Telangana people and TKSUK aiming to strengthen TRS party and KCR leadership in Telangana NRI community in Uk and Europe region. Senior IT consultant Naresh kumar confirmed that TKSUK will organise events where Telangana, TRS and KCR sympathisers will be invited and wider consultations will happen on different programs. Senior software consultant and well known member of UK Telangana community Venkat Rangu said on this occasion that one of the objectives of this organisation is to do community specific work to strengthen party image in England. Nagesh Reddy kasarla,Srilkashmi, Preeti, Naveen yelkur, Keerthi Ponnala, Rama goud, Mahesh nampally and Ajay polkampalli attended the event and wished for grand success of the Organisation.